C. Alexander Simpkins, PhD, and Annellen M. Simpkins, PhD, are psychologists specializing in meditation, hypnotherapy, and neuroscience. With more than four decades in practice, the Simpkins have helped patients of all ages achieve mind-brain change through meditative and hypnotic techniques, and have studied and performed research alongside some of the masters of the field. The authors of 28 books, many bestsellers, the Simpkins are popular speakers at professional conferences, mental health facilities, university campuses, and radio programs throughout the United States and Canada. 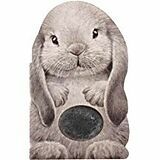 Their Eastern philosophy influence lends warmth and clarity to their therapeutic effectiveness and commitment to continual improvement. A Multimedia Handbook for Clinicians Seeking A Deeper Understanding of Therapeutic Meditation Core Principles of Meditation for Therapy provides clinicians with a powerful toolbox for guiding clients toward actualized change. Beginning with the theoretical underpinnings of therapeutic meditation, this book delves into the neuroscientific evidence to help therapists understand what to do as well as when, why, and how to use a particular technique. The open approach encourages creative individualization, and clear instructions explore the various ways meditation can be used to achieve clarity and break through seemingly intractable problems. The three major areas of meditation-yoga, mindfulness, and Zen/Taoist flow-are detailed in practical terms, and audio and video content are synchronized with the text to facilitate seamless integration into therapeutic practice. 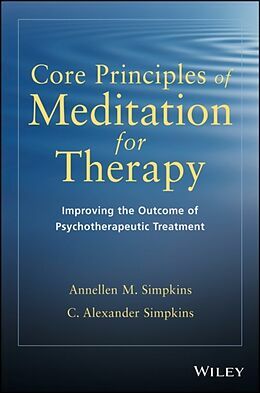 Core Principles of Meditation for Therapy explores: * The theoretical foundations of mediation and mindfulness in the context of mental health interventions * The neuroscience that both links and distinguishes different forms of meditation, and the mind-body-attention connection * The diverse applications of focus, open-focus, and no-focus meditation methods for depression, stress, anxiety, trauma, and more Meditative practice puts people on a positive path, offering distinctive benefits and a well-trodden route to real, actualized change. This book provides a road map for clinicians seeking a flexible and varied meditative approach to healing. 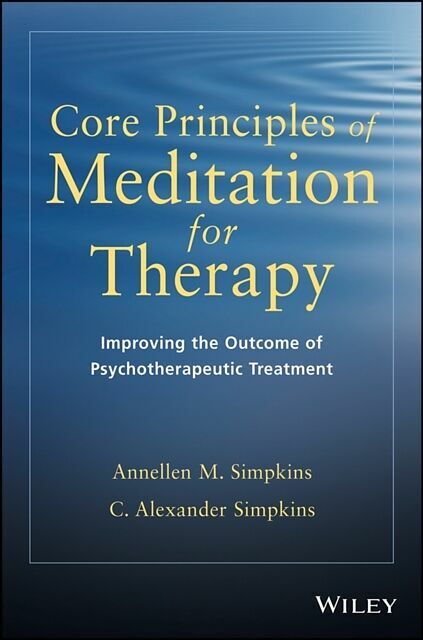 Core Principles of Meditation for Therapy: Improving the Outcome of Psychotherapeutic Treatment provides the multi-modal strategies and tools therapists need to guide their clients' adaptations of meditation into their lives.